The light changed right as I took this. 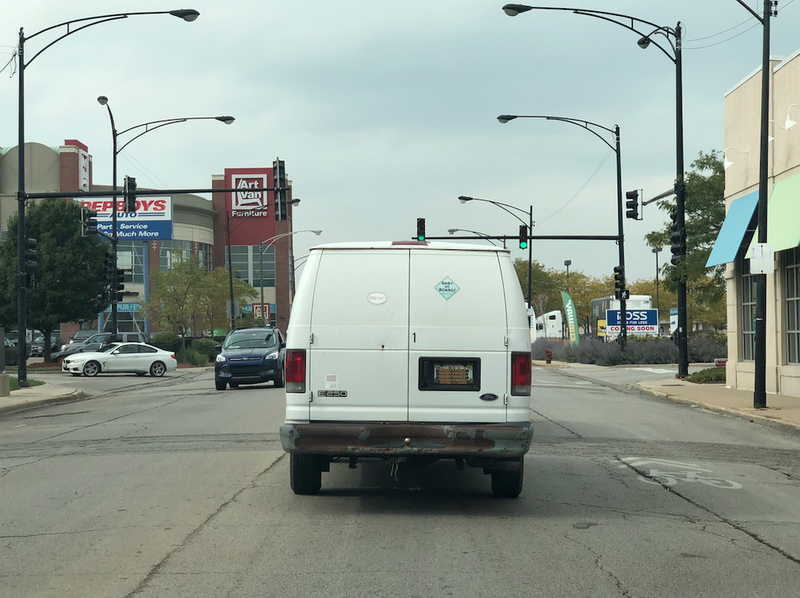 Baby on Board, a creepy white panel van! Being a little braggadocious about the kidnappings now, aren’t we?